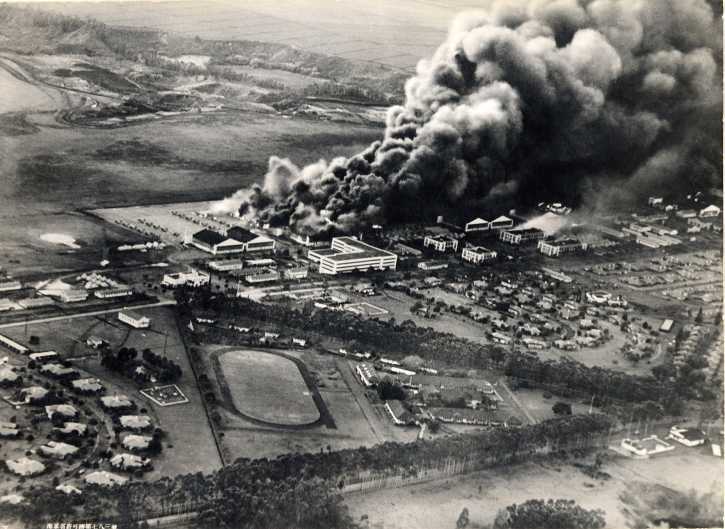 The devastating destruction of Hickam Air Field, bordering on Pearl Harbor, was beyond human comprehension on that fateful day of December seventh of 1941. 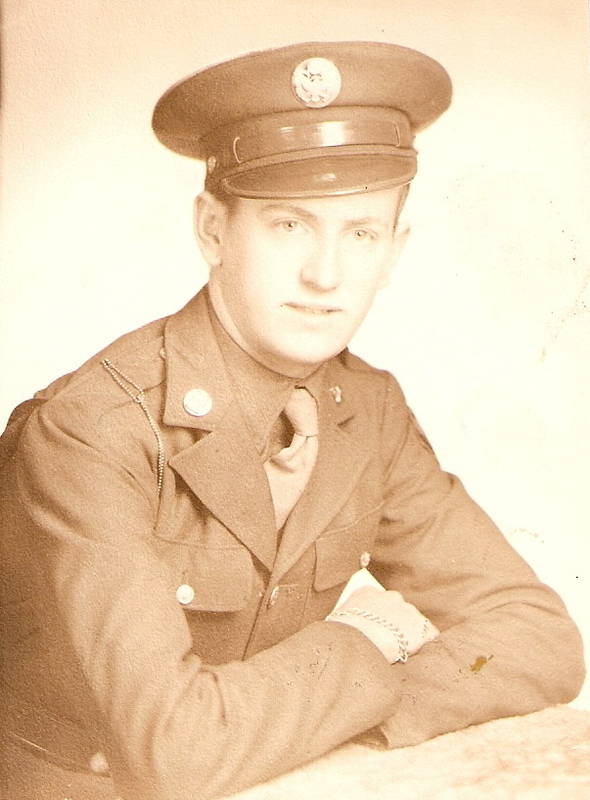 My dad signed up for the Army Air Corps during World War II. He was assigned to the Seventh Army Air Corps and sent to Hickam Air Field in Hawaii. Hickam is the air field that is right next to Pearl Harbor. Hickam borders Pearl Harbor. 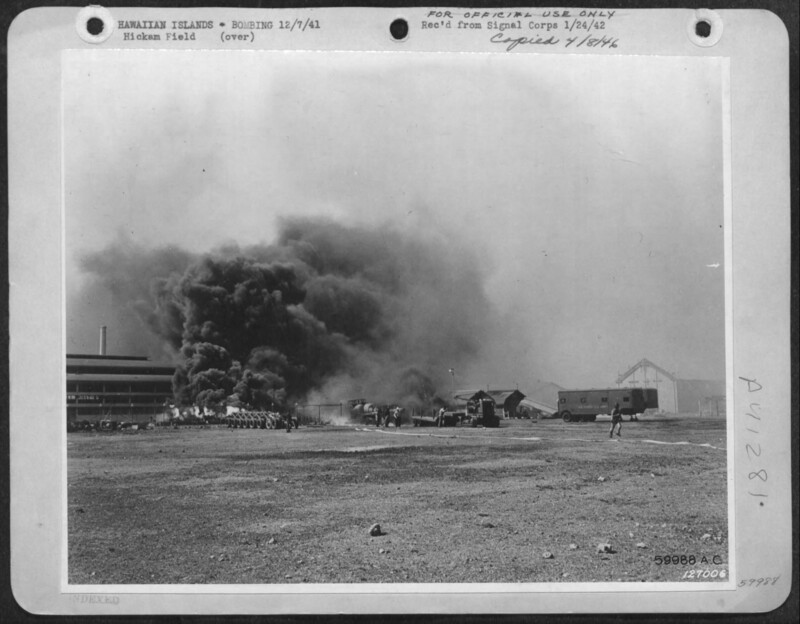 At the age of 18, my dad was sent to Hickam Air Field to clean up the horrible effect of that inhumane air attack. At the age of 18, my dad saw the devastating effect of man’s inhumanity to man, first hand. I cannot imagine how terrible that was for my dad. Dad grew up in the home that his father had built at the end of Mabey Lane, in the sleepy little town of Lincoln Park, New Jersey. The home that Dad grew up in, was surrounded by forest on all three sides. To the south lied a big open field. It was the very field where Dad’s father’s brother, Earl, was going to build a home upon when he returned from the First World War. Great Uncle Earl was killed in France, in battle. The big field was over an acre in size and was named, Earl’s Meadow. I cannot imagine what it would be like to be 18 years old and to see this amount of devastation and destruction. I just cannot imagine it. Dad became a man in the Seventh Army Air Corps. At 18, he became a vital part of American history. Dad played a role in cleaning up Hickam Air Field. 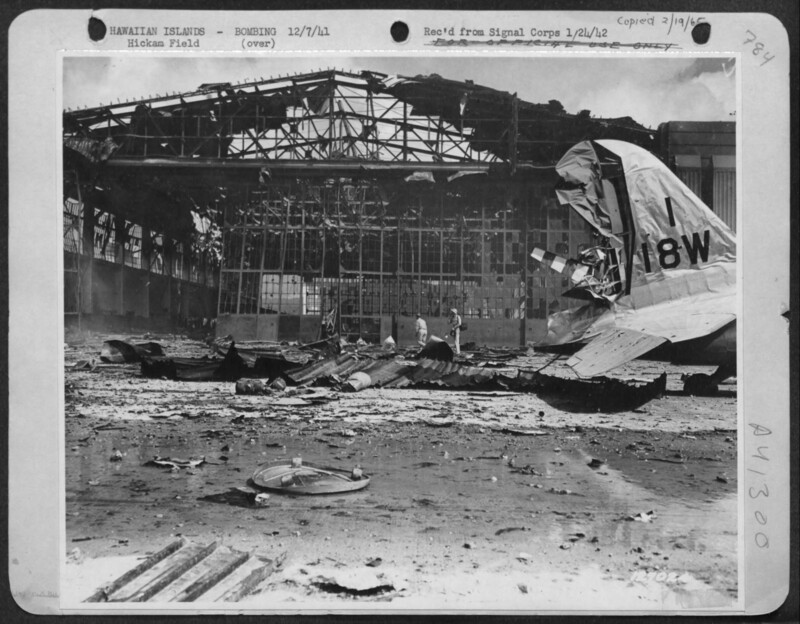 Seeing the destruction and devastation of Hickam Air Field had to be terribly traumatic for my Dad. Don’t ever kid yourself. 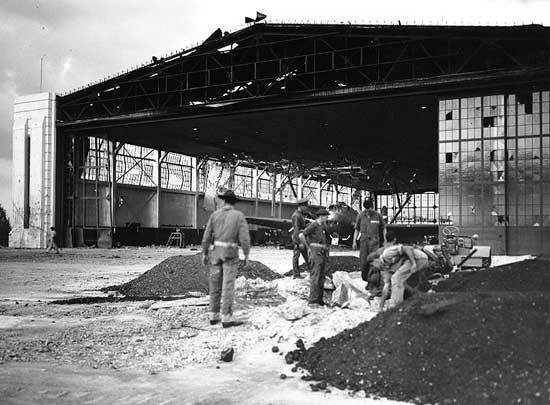 Hickam Air Field was braced for another attack by the Japanese, all the time! It was no joke. Dad knew that anxiety, that fear, that uncertainty. And, Dad faced it all, head on. Dad became a man at Hickam Air Field. My heart goes out to my dad. I don’t know if I could have withstood seeing such senseless destruction at such an early age. When you look at the pictures that show the devastation of the attack on Pearl Harbor and Hickam Air Field, it staggers the mind. This attack was a classic example of man’s inhumanity to man. An example of how mean and cold-hearted, we as a human race can be to one another. Dad saw firsthand, at a very young age, that there is no glory in war. 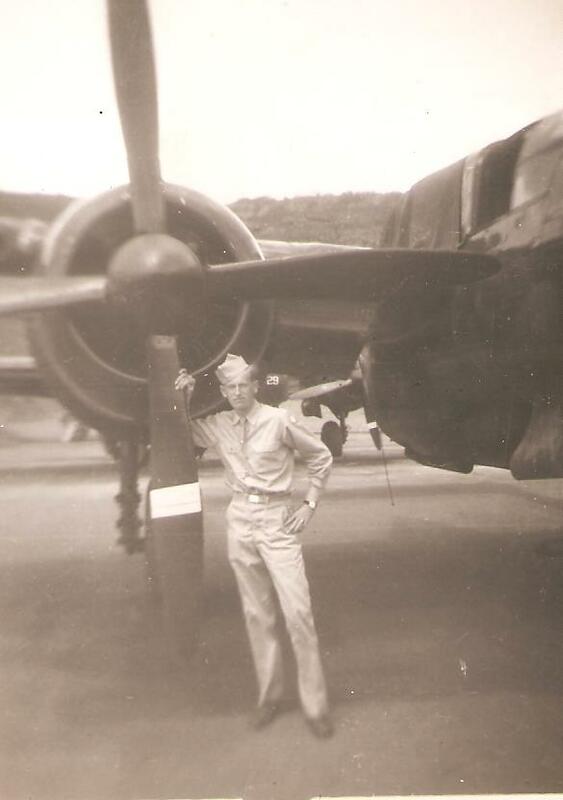 Dad standing beside the propeller of a B-25 bomber plane at Hickam Air Field. I loved my father with all of my heart. I had immense respect for Dad, beyond words. I don’t think the reading of any book, watching any film, or listening to the lectures of a Harvard professor could have shown Dad the horrors of war, more so than being a soldier of the Seventh Army Air Corps at Hickam Air Field during the Second World War. 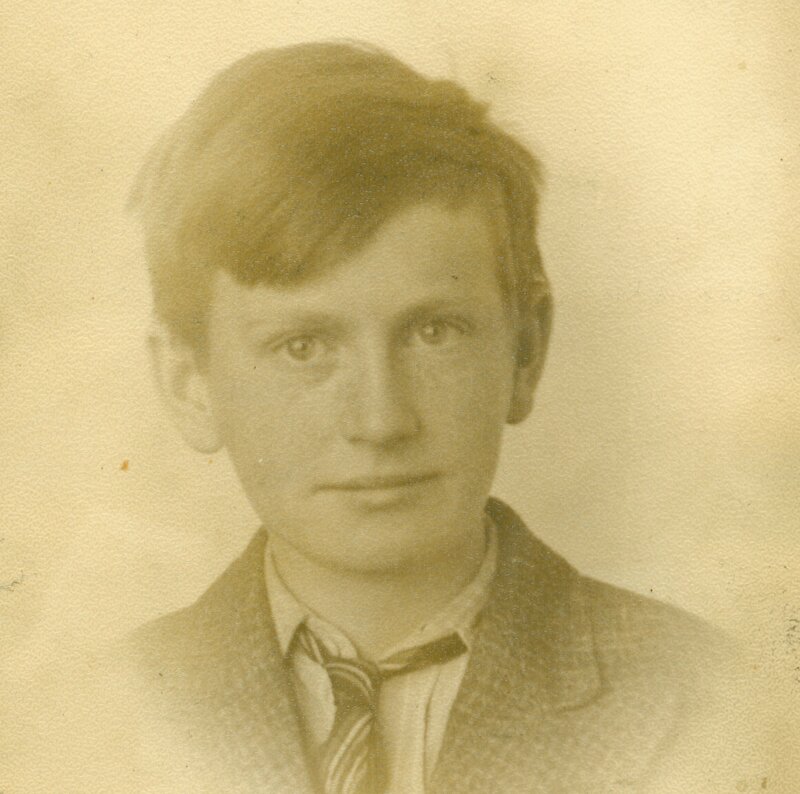 A cherished photo of my dad at 12 years old. I look at the picture of my dad as a boy. The freckled face, the blue eyes, the wide-eyed expression of hope and idealism, the wonderful face of an innocent boy. When I see that photo of Dad, I want to cry. Dad lost his boyhood idealism at Hickam Air Field. At 17, Dad signed up for the Army Air Corps. His brother Edward, who was in the US Navy, was lost at sea. Uncle Ed’s ship had been sunk by a German battleship, off the coast of England. By the grace of the good Lord, Uncle Ed was found by a British ship bobbing up and down, near the English coast. Uncle Ed was just hanging onto life. It wasn’t until after Dad signed up for the Army Air Corps, that Dad learned that his brother Edward was alive and well. My dad is my hero. Dad showed incredible bravery at a very young age. Now, at 63, I’ve come to grow in my understanding of the incredible sacrifice Dad made for his country. Dad lived his entire life, with a burning patriotism in his heart. Dad taught the value of American citizenship to each and every one of his scouts, in his role as Scoutmaster. Dad served as Scoutmaster of Boy Scout Troop 170 for well over 25 years. 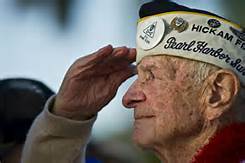 Forever be honored, our dear and wonderful veterans. Veterans made huge sacrifices in life. Sacrifices that most of us cannot even imagine. If you know a veteran, please thank him or her for their service to their country. It may have been a long time since anyone last thanked them for their service. This entry was posted in 1942, Accomplishment, Be Strong!, Beavertown, Believe in yourself!, Boyhood Days, Dad, Days of Being a Young Man, Destiny, Determination, Divine Protection, Dreams, Earl Mabey, Earl's Meadow, Encouragement, Faith, Finding Your Purpose in Life, From boyhood to manhood, Heroism, Hickam Air Field, I Remember Dad, Kindness, Leadership, Life's Dreams, Lincoln Park, Love of Family, Mabey History, Mabey Homestead, Memory, Never give up!, New Jersey, Nostalgia, Old Lincoln Park, Pear Harbor, Sacrifice, Second World War, The Unexplained, Troop 170, Wisdom. Bookmark the permalink. Such a wonderful post. Thanks for sharing, Richard! Thank you for your kind words and for your support of my blog. I appreciate it very much.